The four boosters separated from the Soyuz rocket’s core, or second stage, about two minutes after liftoff April 28 from Russia’s new Vostochny Cosmodrome, located in the far eastern Amur region near the Chinese border. The 15-story rocket flew north-northwest from Vostochny, jettisoning its four boosters, payload fairing and second stage in new drop zones far away from the areas typically used after launches from the Baikonur Cosmodrome in Kazakhstan. A Soyuz third stage and Volga upper stage continued into orbit with three research satellites made by Russian university students. 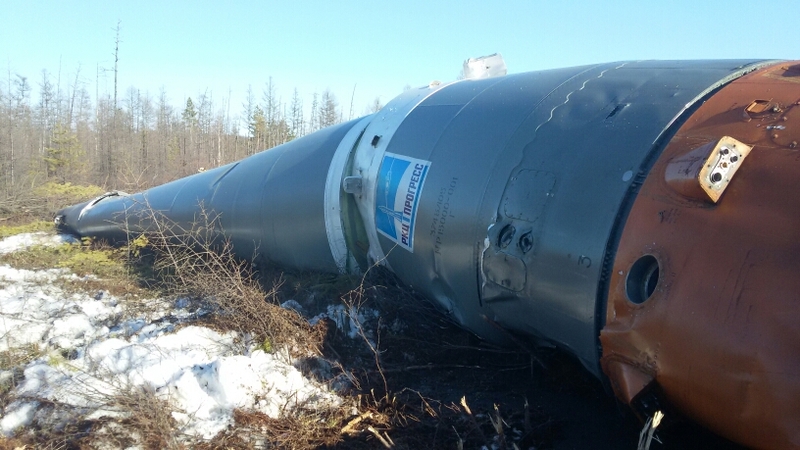 The boosters, each powered by an RD-107A engine, fell about 350 kilometers (220 miles) from Vostochny near the towns of Zeya and Tynda, Roscosmos said. 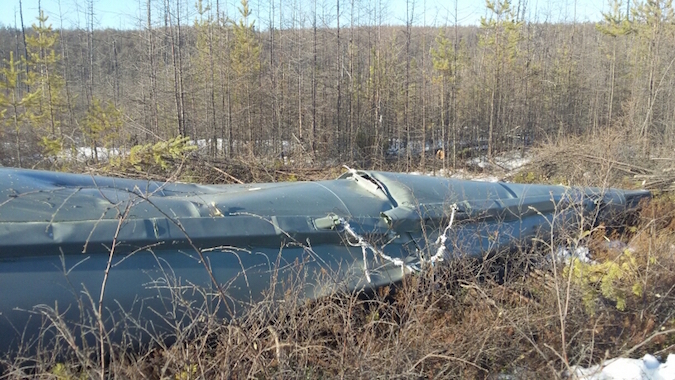 Search crews found all four boosters by Sunday, Roscosmos said, and officials planned to transport the debris back to the Vostochny Cosmodrome. 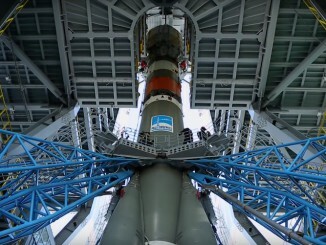 The government search team also found parts of the Soyuz rocket’s core stage in its designated drop zone farther north near Vilyuysk, a remote town about 1,400 kilometers (870 miles) north of Vostochny. Roscosmos said the team collected samples of snow and soil near the wreckage. Testing of the samples indicated the exhausted rocket stages had no negative impact on the environment, the space agency said in a statement on its website. 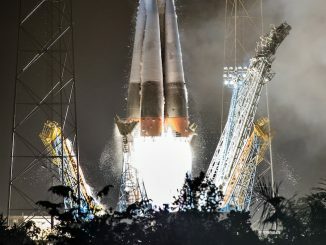 The Soyuz rocket burns kerosene and liquid oxygen propellants, a more environmentally-friendly mixture than toxic fuels consumed by the Proton rocket, Russia’s other workhorse launch vehicle, which also dumps used stages on land. For the first time, Russian safety officials used radar tracking systems to monitor the trajectory of falling rocket boosters. Roscosmos said a radar tracked the second stage after it detached from the Soyuz third stage approximately five minutes into the flight. 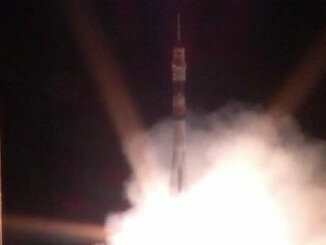 Most of the Soyuz rocket’s second stage core burned up during re-entry from an altitude of 180 kilometers (112 miles). For comparison, the first stage boosters released from the rocket about 60 kilometers (37 miles) above Earth, lessening the heat and pressures they encounter on descent. Roscosmos said the search team is also looking for debris from the Soyuz rocket’s carbon-fiber payload fairing. Like launches from other Russian-operated cosmodromes in Kazakhstan and in the country’s far north, the rocket stages crashed back to Earth in sparsely-populated districts downrange from the Vostochny space base after they finished their engine firings on the way to orbit. Roscosmos said the wreckage will be transported back to Vostochny via helicopter beginning Monday for inspection and recycling. Russia has no near-term plans to make a reusable rocket. The images released by the Russian government are a rare official look into the recovery of spent Russian rocket parts. 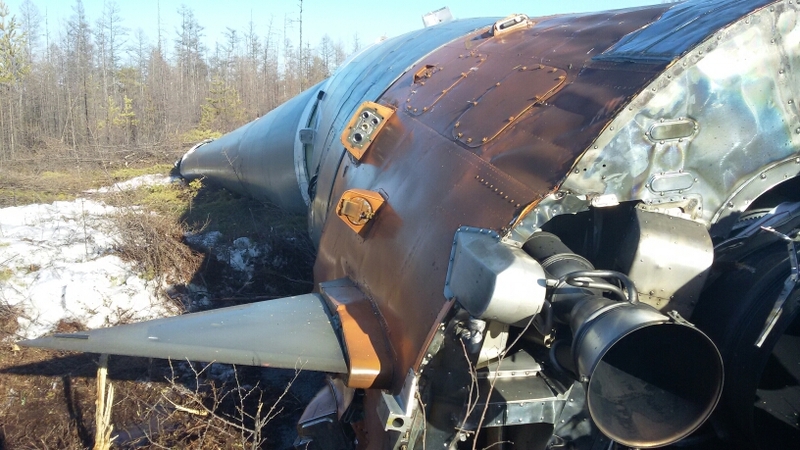 Russian authorities have dispatched search teams to clean up rocket wreckage for decades, but Russia scaled back the practice after the Soviet Union fell, according to a New York Times story published in 2008. The downrange survey and clean-up after last week’s high-profile launch from Vostochny, a multibillion-dollar cosmodrome intended to eventually replace Baikonur, may signal a change in the rocket wreckage recovery policy.